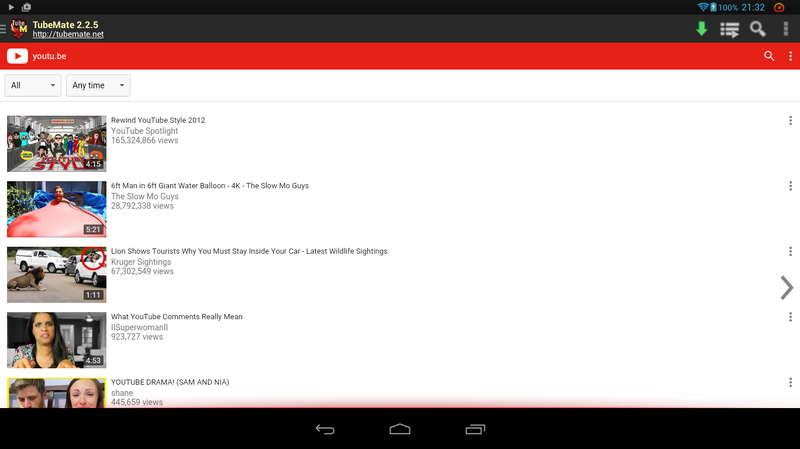 How to download Youtube Videos with your android phone ~ I am a Writer Too!! You can easily download Youtube videos with your android phone. Over the years, we all know how popular Youtube has become. It's the biggest online video data base so far. Youtube is a google product. Sadly, it's not easy to download videos from Youtube, because Google just doesn't like it :) You can easily watch it online. Many people simply want to download their favorite videos directly on their smart phones. Android is very popular mobile operating system. 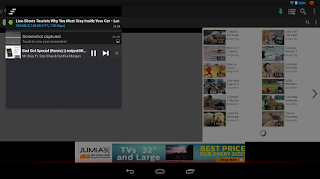 You will be happy to download videos from Youtube with your android phones with ease, right? 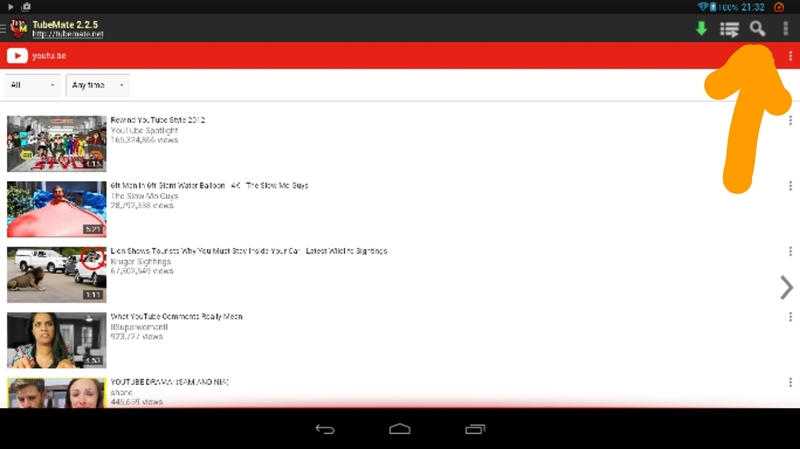 Alright, that is why I'm here: to show you how you can download Youtube videos with your android phone with ease. It's fast, reliable and the best I have seen so far. Hey, it's free to use! I'm sure you're glad to hear that right? Android is powered by apps. There are so many apps that promised to make video downloading from Youtube straight into your android phone easy, but many of them are not delivering that. I can attest that there is only one app that gives you such access with ease for free. That app is Tubemate. First, head straight to download Tubemate here. Install it and run it. Installation is simple. Just the same way you install any app on your android device. When you open it, you will see some instructions, just skip them. Once the app opens fully, you will see it like this (depending the device you are using: I used a tablet laptop). It's usually similar. Just look at the picture below. Choose videos from the list of videos you are seeing. Look at the above picture again, you will see videos on the home page. You can search for any video of your choice by using the search bar. See the image below, you can see the arrow right? That is the search bar. They are two, but you can always use that one. Just click on it, the bar will be available for you to input your search keywords. click on the video of your choice and it will load. click on the green download bar and the app will ask you to select the format you want the video to be downloaded. Just look at the arrow on this image. Click on the green bar. Once you make your choice, the video will start downloading immediately. It's simple and fast. You can continue surfing the app to look for other videos. Can you see the image below? That's how it works. You can download more than one video at a time. You can close the app and the download will continue working. You will be asked if you want to continue with the download, just say yes. 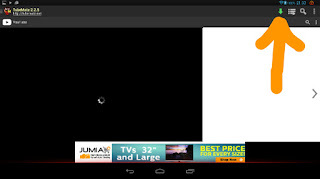 You can watch Youtube videos directly from the app. It's very neat too. 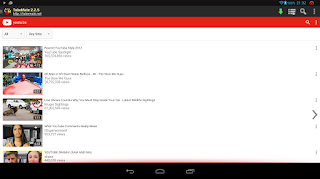 That's it, that is how you can easily download Youtube videos with your android phone for free. 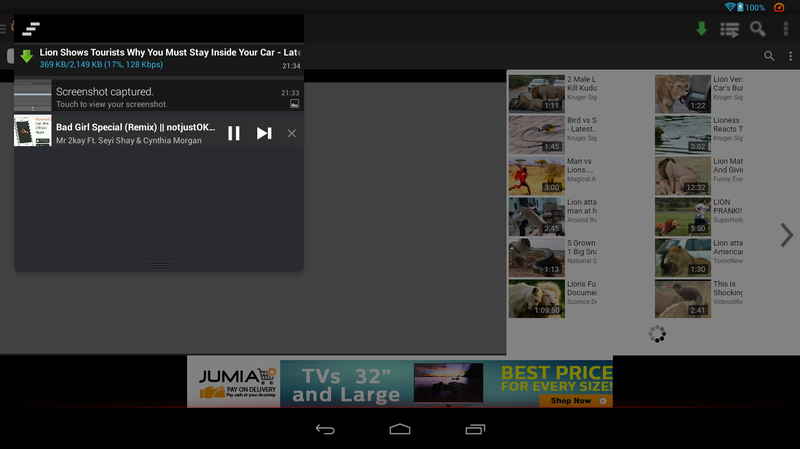 Youtube download with Tubemate is awesome. Give it a try. I hope this app serves you well. Kindly share this article with your friends on facebook, twitter, etc. Tell us what you think. 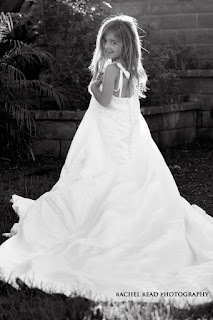 You're free to ask any question regarding this Do It Your Self article. Many more to come.